Skyscrapers built using wood are a hot topic lately. How do they compare to steel and concrete? 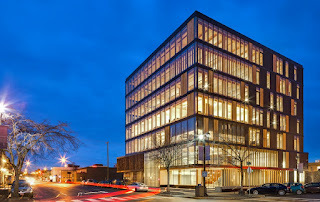 Woodscrapers is the catch phrase of a movement to promote building large high-rise buildings with wood instead of concrete and steel. Yes, they actually are in the works. 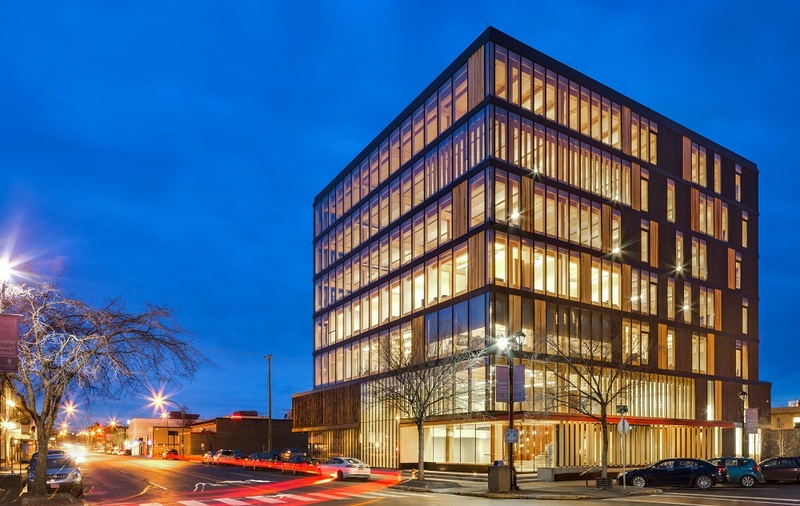 Minneapolis developer plans to build a 7-story wooden office building downtown. Wood was once the building material of choice. It's strong for its weight, lasts a long time, and is easy to work with. Wood sequesters carbon dioxide, the primary cause of climate change that threatens the very forests themselves. Every 35 cubic feet in a wood building represents a ton of avoided CO2 emissions, according to this summer's Woodland magazine. Michael Green, a Canadian architect who is championing the tall timber building industry, suggests wooden skylines will reach 30 stories and that we have the technology in place to build them now. A series of videos by the Innovative Wood Products Collaborative feature Michael Green talking about the positives of wood a a commercial building construction material. In video 3, Michael Green says, "All these ideas about wood buildings are predicated on the assumption that wood comes from sustainably managed forests. Without that, we would not be advocating building with wood." Sustainable lumber bears a third-party certification such as ATFS, FSC or SFI. Tree growers, harvesters and lumber mills apply to be certified and follow certain practices. The Wood Innovation and Design Center at the University of Northern British Columbia in Canada is 90 feet high and all wood. Structural engineer Nick Hewson at AECOM said there's a place for all-wood construction, but probably not 20-30 stories up.